1. How do I gain full access to the Library Website? Answer: Mount Carmel Health Sciences Library (MCHSL) provides services and access to its resources to only affiliated individuals: Mount Carmel Health System (MCHS) professional medical staff and colleagues, including all Mount Carmel College of Nursing (MCCN) faculty, staff, and students. Library registration can be completed through our website or in person at the main library. Online registration forms will be processed within 24 hours of submission and you will receive a notification email with more information. If you are an MCCN student, you are automatically registered upon enrollment. 2. How do I gain off-campus access to Library resources? Log in using your Last Name (username) and Password when prompted by an 'Off Campus Log In' pop-up box and you will be able to access all resources online. 3. What is My Password? MCCN students: your password is your student ID number. Information on finding your ID number can be found here or by calling MCCN Records and Registration. MCHS faculty, staff, and colleagues: your password is your first and last initial followed by your associate ID (ab123456). For newer colleagues, your password is your system login/four by four (abcd1234). 4. How do I locate needed books and materials? Search the Mount Carmel Catalog on our website by the title, author's name, etc. If the item is unavailable at Mount Carmel, click on the "Search OhioLink" button at the top of the results page. For online students, only Ohio residents have permission to borrow from OhioLINK. The check-out period is 21 days and up to 6 renewals are allowed if no other holds are placed on the item. For online students, the check-out period is 90 days with no renewals and check-outs are limited to 5 MCHSL items per semester. All of the required textbooks for MCCN classes are on held on closed reserve only at the MCHSL main location and in the faculty office at the Fairfield campus. These items can be checked out from the circulation desk for three hours of in-library use only. At the Fairfield campus, MCCN students should contact faculty to check out these items. 5. What are OPAL and OhioLINK? Answer: OPAL and OhioLINK are two consortia — library groups — of which MCHSL is a member. Both groups and their member libraries participate in resource sharing of bibliographic catalog materials (i.e. books, media) allowing their patrons to request and check out books owned by any of the member libraries. 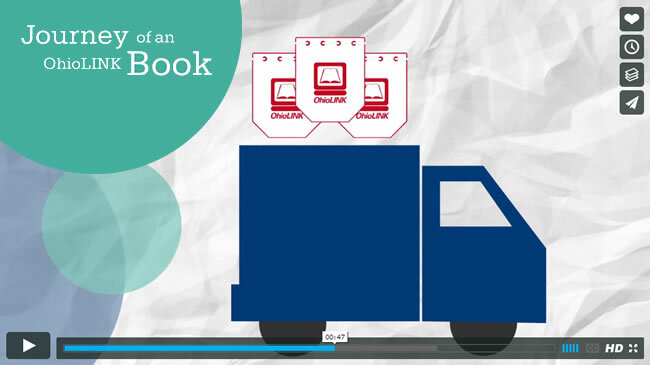 The video linked below tells the story of how a book borrowed from OhioLINK gets to you! 6. Where do I find ACLS & PALS Provider Manuals and NRP Textbooks? Answer: Look them up in the Mount Carmel Catalog, searching for the titles "Advanced Cardiovascular Life Support Cardiovascular Provider Manual," "Pediatric Life Support: Provider Manual," or "Neonatal Resuscitation Textbook," then request the item using your Last Name and Password, selecting to pick up the item at MCW Library or through Office Delivery if you work at another MCHS location. 7. What are 'OnDemand' Services? Answer: 'On Demand' refers to diverse services that MCHSL provides to its clients upon their request (i.e. delivery of circulating materials to all MCHS operating sites and instruction on demand). Library on Demand Office Delivery: Library items can be sent to your Mount Carmel office or workplace, at any MCHS operating site, using interoffice mail. Read more here or contact us with any questions regarding this service. Instruction on Demand: You can request individual or group assistance from a librarian using our online form. Visit our staff page for the librarians’ contact information. 8. How do I renew checked out items? Answer: Go to library.mchs.com, click on "Your Library Account" at the top of the page, and login using your last name and password. You will be able to view and renew your checked out materials. 9. Does the library have computers and copiers? Answer: We have desktop computers and copiers at the Main Library at Mount Carmel West. At St. Ann's and East Hospital Library locations we have desktop computers, printers and copiers. At the Main Library, we also have laptop computers that can be checked out for daily use during library open hours. The Main Library also has FAX and scanning services. 10. What do I need to know about printing in the Library? St. Ann's and East Hospital Library locations have printers attached to the library PCs. Any library-related materials (articles, search results, etc.) can be printed in the Main Library location at West Hospital with the approval and assistance of professional library staff. All course related materials (syllabus, PowerPoint presentations, etc.) should be printed in the MCCN Computer Labs. Printers are black and white only. 11. How do I reserve a study room in the Main Library? Answer: Place a reservation for a study room in the Main Library using our online form. Reservations can be made online until 8am on the day of the request; for same-day requests, please contact us. Reservations are for 4 hours; if you need a room for longer, please contact us. For more information: Online Room Reservation. 12. Are food and drinks allowed in the Library? Answer: Our policy allows ONLY cold foods, small snacks, and beverages with lids. 13. How do library fines work? Answer: The library charges overdue fines on items returned past their due date and replacement fees on unreturned, lost, or damaged items. To pay fines, we accept cash or check only. 14. Where are the locations of the library? Answer: Our Main Library is located on the MCW campus in the CLE building (127 S. Davis Ave). We also have locations at MCE, MCSA, and MCNA. * Please note, the MCE, MCSA, and MCNA locations are not staffed. To gain badge access to these library locations, contact the Safety & Security office at the designated location. For more information: Library Hours and Locations. 15. What are the library's hours? Fall/Spring (August-May): 8:00 a.m. - 9:00p.m. Mon-Thu, and 8:00 a.m. - 5 p.m. on Fri.
Summer (May-August): 8:00 a.m. - 5:00 p.m. Mon-Fri.
16. What special collections does the library have? Answer: We have business and leisure reading collections which include books and books on tape. The main Library location also subscribes to daily newspapers and popular magazines.